Closed For Holidays: Mon, Apr 22 - Easter Mon, May 20 - Victoria Day Mon, Jul 1 - Canada Day Mon, Aug 5 - Civic Holiday Mon, Sep 2 - Labour Day ... For a full list, check our website. Celebrating 50 Years In Business in 2018! As a family business it is our goal to make you feel like you are part of our family. Our many years of experience and customer satisfaction ensures that your needs will be met. 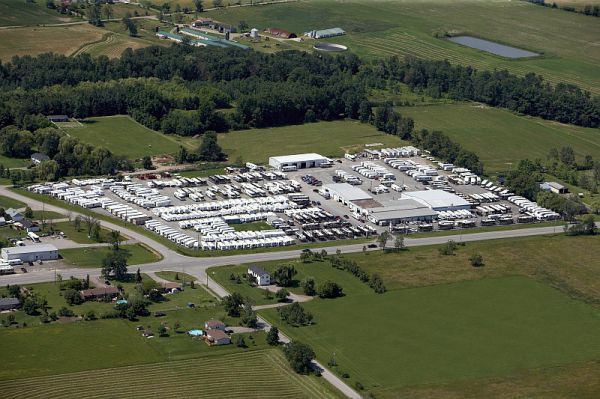 A large 30 acre lot and modern indoor showroom await you. With a huge selection of new and pre-owned recreational vehicles on display every day from leading manufacturers, you'll be sure to find what you're looking for. Your vehicle will receive quality care in one of our 16 service bays. 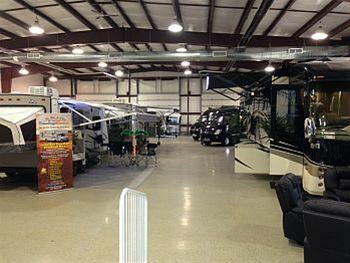 We also feature one of the largest Parts & Accessories stores and also feature an on-site Detailing & Restoration facility to clean, protect, detail and renew your RV. Because we are one of Canada's largest volume dealers, we can assist you in negotiating a great deal on the RV of your choice. 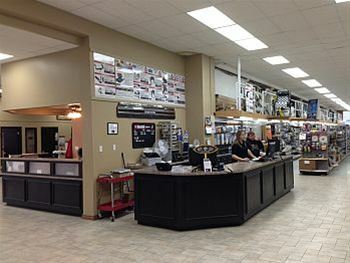 Our extensive service center is there backing up everything that we sell. Sicard RV Named 2018 RV Business Top 50 Dealer! We are proud to have been nominated and awarded a RV Business Top 50 Dealer for 2018! "We are honored and humbled to be named one of the 2018 RV Business Top 50 Dealers" says General Manager Blair Sicard. "We could not have done this without the dedication of our hard-working staff and the loyalty of our customers"
Save the date! Information coming soon! Have a motorhome you are looking to sell? We might be interested! Contact us at 1-800-688-2210 or 905-957-3344 and ask for Roger or Gary! Get MILES for buying the parts & accessories you want and having the service work done your RV needs! Visit our website to see our featured RV inventory, specials and promotions.